Everybody loves a good mystery. Campers will spend the week learning forensic science skills and unraveling the mysteries set before them. 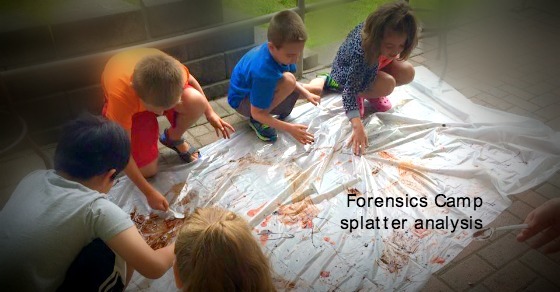 Campers will learn fingerprinting, foot printing, car tire tracking, as well as bite mark, handwriting and ink analysis, collection and identification of trace evidence, analysis of splatter marks and contact stains. Each child will take home with them at week’s end their very own crime investigation kit, which will include fingerprinting cards, fingerprinting powder, and lifting tape as well as other forensic science tools.